Clonazepam High Effects: How Does Klonopin Make You Feel? Klonopin, a brand name for Clonazepam is commonly used to treat seizures, panic, and anxiety. However, due to the high, it can give it has become a popular recreational drug too. Klonopin high is particularly dangerous, not only because the drug inhibits certain functions but because it is incredibly addictive. But how much Klonopin does it take to get high? What does Clonazepam do? And at what point does Klonopin change from the relaxed feeling to the dangerous drug? What Does Klonopin Feel Like? What are the Klonopin After the High Effects? Klonopin is often prescribed as an aid for extreme anxiety and panic. However, this depressants effects on the gamma-aminobutyric acid (GABA) in the brain, have made it increasingly popular recreationally. This is down to its sedative effects. 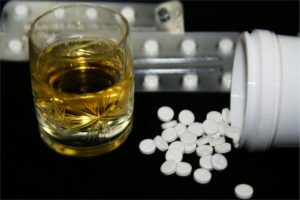 The gaining popularity of Klonopin recreational use means it is now more important than ever to know how much Clonazepam it takes to get high and what is a safe amount of the drug to consume. According to the US Food And Drug Administration, Klonopin is available in doses ranging from 0.25mg to 2mg, from online pharmacies and stores with pharmacies on prescription. The drug can also be purchased online without prescription. Depending on a person’s body mass index, diet and tolerance to the drug, it can take just 0.25mg to get high on Klonopin. A Klonopin high then becomes dangerous after taking more than your body is ready for. There is no specific amount to let you know when you are putting yourself at risk, which is part of the reason Klonopin highs are so dangerous. It is highly recommended that you do not take Klonopin recreationally at all, due to it being highly addictive and it can place you in danger of tolerance and then overdose. What Does Klonopin High Feel Like? Clonazepam high is usually characterized by mild euphoria, relaxation of the mind and reduced anxiety, relaxation of the body, and drowsiness. Even users who take Klonopin without a sole purpose of getting high on it, state that the sensation from the drug can be extremely pleasurable. Klonopin is a depressant and because of that its effects essentially slow the body. Klonopin often makes users fatigued and dreary amongst other things. Klonopin highs range from making the user extremely tired and down to making them social and maybe even a little over the top. This drastic difference often makes the highs a challenge to deal with and even harder to judge the person who is on Clonazepam. So how long does it take Clonazepam to work? Klonopin is a fast affecting drug and usually kicks in, in less than an hour. It then can last 8-10 hours depending on the user and a number of factors related to their health, size, and lifestyle. Plus the dosage of the drug they have taken. In those 8-10 hours, the Klonopin user may experience a range of feelings, from fatigue to complete sedation and feeling like a zombie. Some users even experience blackouts. Abuse other substances more – As a depressant, Klonopin can lower inhibitions and cause users to abuse other drugs and take more Clonazepam. 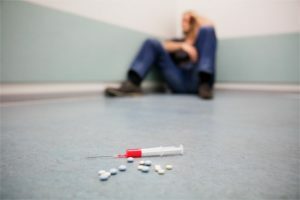 Increased desire to socialize – Although the drug is a sedative, the user may become more sociable due to a lack of inhibitions or anxiety holding them back. Increased fatigue and desire to sleep – The drugs sedative effects make some users constantly tired. Fatigue – Many people ask does Klonopin make you tired after use. The answer is yes. Due to the 40 hour half-life, you can still be fatigued after use. Mood Swings – As you withdraw from the drug, your mood may change, anger and sadness may occur more frequently. Depression – Depression is a common after high effect due to your body adjusting to no longer having the drugs high. Lack or Increased desire to eat – Cravings for food and drink may increase or decrease depending on how the body reacts to the drug no longer being in your system. Neglect of Duties – This can often stem from the accumulation of the other after high effects as an individual cannot overcome the mental and physical symptoms. Cravings For More – As with many drugs, Klonopin is addictive and often makes you crave for more when not using. How long does Clonazepam last in your system? Klonopin kicks in less than an hour and the high last 8-10 hours, but it takes a little longer to exit your system. The half-life of the drug is 30-40 hours so it can take up to two days to leave your system. Due to the drug being a depressant, the strongest after high effects will be in the earlier stages of this period and will gradually disperse over the 40 hour period. A user may also drink a lot of water and experience anxiety after that period as the drug can have longer lasting effects on an individual. Klonopin may feel like an enjoyable high due to it taking away your worries and replacing them with a more relaxed version of yourself. However, it can quickly become ugly. Knowing your limit when it comes to a Clonazepam high is important. If you begin to show any signs of Klonopin side effects then it is important to not take any more of the drug. It is difficult to state an exact limit on Klonopin consumption, due to everyone being able to deal with a different level of the drug because of diet, build etc. If blackouts or a zombie-like state are regular experiences when you take Klonopin then you are possibly already exceeding your personal limit. Furthermore, if you feel a need to take more of the drug then you may be developing either an addiction, a tolerance or both. These are bad signs and often lead to an overdose. This highlights the importance of knowing your limit when it comes to taking Clonazepam and a Klonopin high. If you or someone you love is experiencing the negative effects of Klonopin, you should seek medical assistance. Klonopin addiction and the side effects of the drug can both be dangerous and your health should always be a priority. For any further advice on how to get effective help or find medical care near you, please call our hotline on (888)-459-5511.
my 26 yr old son has taken 30 days of 2mg clonazepam along with 0.5mg of alprazolam in a period of 5 days. he also takes zoplicone 7.5mg, volproic acid and clobezam as he has epilepsy. he has drop seizures. He’s been acting very strange, with a lot of anger and rage and is dillusional. what can we do? Lock up his medications and give them to him on the correct schedule. Also ask his doctor for a drug like Gabapentin or Clonodine to help with the withdraws. Good luck! I feel like I’m in a trap and have countless times tried so hard to not let the drugs beat me, I felt positive every time I begin the detox and longest I’ve gone is a few weeks, I feel like a failure to myself, thankfully as my family do not know I am taking medication, id like to keep it that way. Truth!!! Kratom has saved me a few times!! It does still take willpower though!!! We tried Kratom but just could NOT keep it down. Ash, mud, dirt … I can’t even think of something that comes close to that nasty taste. However, we did find you can buy you Kratom, then get empty capsules from Amazon and a capsule filler from Amazon. You can make like 50 tablets in just a few minutes with NO taste from that disgusting “toss and wash”. We recently both just quite the next best thing to prescribed heroin – Oxymorphone 30mg twice a day. I’ve been on opiates due to an injury since 2001 … 18 damn years. My life revolved around my next pill and I just couldn’t do it anymore. Unfortunately, due to the extreme anxiety that going off opiates cold turkey put me in, I went through my Klonopin in about 16 days, which put me in yet another drugs withdrawal. I’ve been on and off Klonopin since the 90’s and every anti-anxiety drug known to man in between. The only one I can think of that I haven’t taken is Zoloft. I still feel my anxiety bubbling just below the surface but after the non-stop panic attacks I’ve had for 2 days, I am so grateful to have these back in my “stay clean” arsenal. Whatever you do, please, please read up on Effexor before you ever stop taking it. I thought that withdrawal was literally going to kill me. I had absolutely NO clue that what was happening to me then was withdrawals. Then my next told me that I was lucky, that a very high percentage of people commit, or try to commit, suicide when they get off of those cold turkey. I not only thought I was dying, I wished I would, the electricity that zapped my brain (felt like someone was hitting my brain with a baseball bat), the uncontrollable sweats, anxiety and everything else was hell. Cold turkeying off of opiates was HARD AS HELL, but the misery was less than coming off the Effexor. I was in the ER 14 times in my 20’s thinking I was having a heart attack when they dx’d me with severe anxiety disorder and panic attack syndrome. The ER gave me Klonopin and we’ve been best friends since. Reading this board makes me wonder if I shouldn’t push for Xanax as a breakthrough at next weeks follow up appointment. I felt really hopeless in my addiction with opioids for years.. and never could go away bc I didn’t want my family to know.. I went to the local methadone clinic- I knew they had meetings (not NA meetings, but group meetings with counselors). I started going just once a week and just sitting down with a group and learning about cravings, triggers, how to make a plan if you are experiencing triggers, etc. helped me so much.. and just understanding it’s a process.. i always thought I knew all of my triggers until I went and then the counselor and people said things that I never even knew how to put into words before.. so you should look for these meetings.. they can help ANY drug.. I have people in my group that struggle with alcohol, xanex and benzodiazepines, cocaine and crack, percs and heroin etc etc etc. and I’ve been finally passing all my drug tests and breaking through.. my drug addiction was mainly on a schedule.. so rather than saying “I’m gunna be an entire day clean- I broke it up .. I said I won’t use before work.. and it was really hard at first and themgot easier, then added a second time etc etc. hope this helps and good luck.. I have been on klonopin1 md.3 times a,day for anxiety and panic for over 7 years i have gone days without taking pills. So no cravins or highs no euphpria or bliss..does take the edge off when anxiety spikes but since ive been on it no panic,attacks..ive tried other meds non help the same way.i started on 2 mg pills3x a day down to 1 mg2 to 3 times at most ,they help.what bothers me most is the stigma that people have when they know your on it.and the need for docs to keep wantiing tko cut you back.i hear docs say. Take your meds they say its like a diabetic taking your meds so take your meds .but when famouse people OD then they pull you off of something that works and say dont take it anymore .they docs take you off. No individualized care it becomes a matter of general mdia and cya over patients needs.but then its always been that way.damm shame. I am so tired of the double standards as well. yes there is an addiction problem in the US but as soon as you start targeting I’ll people like they are criminals and or changing always the way they say to take it ect ect. It makes a person feel a whole lot worse when they are doing the right thing. then treat you like a liar or don’t know what you are talking about when explaining your needs or hopes. Nothing can make a person more angry than being treated like a low life. they have, and I know this, ways to see if and where and when you are filling your own scripts that eventually they should be able to trust at least some patients at their word. Then to have your Dr turn on you when you have been doing nothing wrong, leads to more problems than the drugs themselves. sometimes.